The solution is provided by pumped storage reservoirs. A pumped storage plant has two separate reservoirs, an upper and a lower one. When electricity is in low demand, usually at night, water is pumped into the upper reservoir. When there is a sudden demand for power, giant taps known as the headgates are opened allowing water from the upper reservoir to flow down through pipes to turbines which produce electricity, and back into the lower reservoir ready to be pumped back up later. To maximise the fall of the water, the four pumped storage plants are all in mountainous areas. The Cruachan and Foyers schemes are in Scotland, and Ffestiniog and Dinorwig are in North Wales. 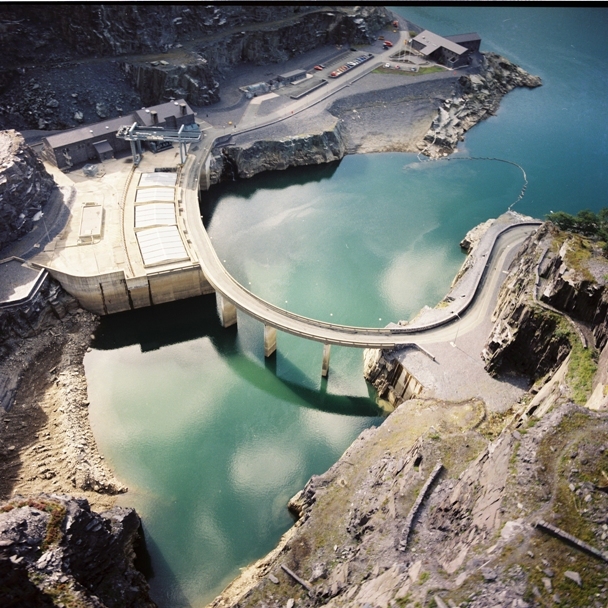 Dinorwig, the largest of the pumped storage plants, opened in 1984. It has one of the fastest response time of any pumped storage plant in the world; it can provide 1,320MW of electricity in 12 seconds, enough to power over a million homes. And national grid staff, who manage the transmission of electricity generated by over 400 power stations, can time the release of water from these plants to the second. So when the closing credits to a popular Sunday evening drama start to roll, the engineers flick the switches and water rushes through the pipes and down the mountain.